At the moment, the investment repair will comprise only the part of the mining equipment and machinery which is engaged in the coal system, while the rest of the machinery and equipment will be overhauled in September. Taking into account that the Unit B2 overhaul in the thermal power plant “Kostolac B” began earlier this year, itresulted in the change of the overhauling plan for the main mining machinery engaged in coal excavation, in the OPM “Drmno”, which was actually planned for September. 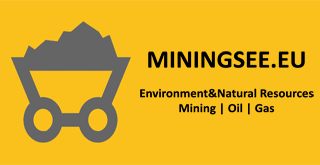 In order to coordinate the overhauling activities of Unit B2 with the works of investment mining machinery repair within the coal system “Drmno”, the overhauling activities of the part of main mining machinery and equipment engaged in the coal system of the company “Drmno” have also begun. This is actually a shortened overhaul of the part of the mining machinery engaged for coal excavation and processing. -In the OPM “Drmno” the part of main mining machinery will be overhauled as follows: the excavator “Sch Rs-800” and the tripper car “BRs-2400”. In this period the activities in Crushing plant of OPM “Drmno” will be also performed, i.e. the stacker-reclaimer machine“PKM-2” with corresponding conveyors T3 and T4, as well as the overhaul of the facilities in the crushing plant building – says Mr. ZoranMilošević, Director of the company “Drmno”, i.e. about planned activities during the overhaul of the main mining machinery engaged for coal system. Mr. Milošević says that the other mining machinery and equipment engaged in ECC system will be overhauled in September, according to this year plan for overhauling activities in OPM “Drmno”. -For the overhauling of the excavator “Sch Rs-800” and the tripper car “BRs-2400” the workers of the electrical and mechanical service of the OPM “Drmno” were engaged, which means that we perform the overhauling by our own capacities – says Mr. Milošević. When it comes to the works on the crushing plant, for the overhauling of the stacker-reclaimer machine“PKM-2”, T-3 and T-4, as well as the facilities in the crushing plant building, the contractors are also the OPM “Drmno” workers of electrical and mechanical service and the workers of “PRIM” and “Kosovo-Obilić”. The overhauling activities began on 23rd June, and according to the plan, all works will be finished in the first half of July.